I originally planned to make a Poison Ivy inspired look but terribly failed, so I just did what I could and came up with this. 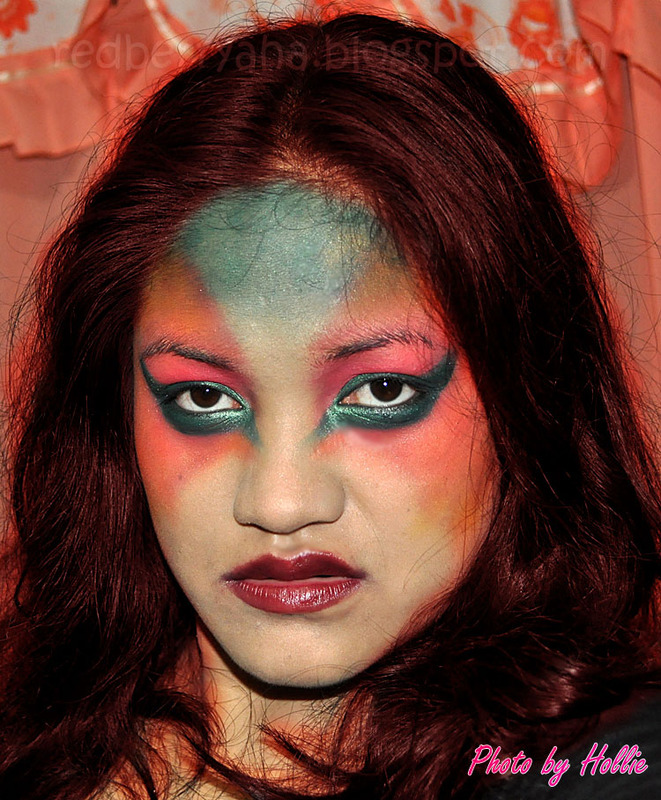 My first Halloween Look ever. I wanted to create a Halloween look that is quick and easy to do. No intricate details needed just play with the colors you have and make it fun. Enjoy! you did a great job, especially the eyes. fierce! =) new follower btw. This Halloween look is awesome!! yay.. ur so creative hollie! i like it <3 great job! Kakatakot ka bakla!!! Alam ko na! isa kang ravena!!! awww! oo nga sis! i just read this now! It may not be Poison Ivy replica but it's ..errr i dunnoe... di ko ma -explain! N I C E syyaaaa!!! if I was a comic artist, I'd get this as my newest villain. loved the fresh idea you made to it.